After the war of 2008 and Russia’s recognition of Abkhazia as an independent state, many lost their illusions that the conflicts could be solved not only by military forces, but also by peaceful means. Many other illusions and expectations besides these also disappeared, but the most important point is that the need to review the policy governing relations with the conflict regions became more urgent. After the political movement ‘Georgian Dream’ came to power, two aspects of the policy governing relations with Abkhazia came to the fore: one international, and one local. At the international level, the occupied status of Abkhazia was and continues to be actively underlined, and the policy of non-recognition initiated by the previous government continues to be implemented – maintaining Abkhazia in international isolation. On the other hand, the local policy aims to revive trust between people and communities—the best example being the health care program run by Georgia’s Ministry of Labour, Health and Social Affairs, which offers greater benefits to people living in the conflict regions than to the rest of the country’s population. This policy is unequivocally calculated for a long-term perspective and aims to create an appropriate framework to make use of the situation. The Cyprus conflict is recently very often used as a good example of and as proof for such a policy, which illustrates how relations between conflicting sides can be revived to a certain degree, despite the ‘frozen’ aspect of the conflict, and even only a few decades after the actual conflict. 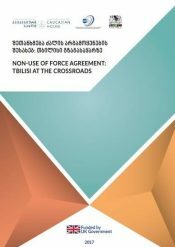 This paper will analyze the extent to which such a scenario corresponds with the conflicts which exist in Georgia. The so-called Turkish Republic of Northern Cyprus (TRNC) is, just like Abkhazia, included in the list of non-recognized countries, but unlike Abkhazia it was only recognized as an independent state by a single country – Turkey. Naturally, it is arguable how much credibility was added to Abkhazia’s status after it was recognized by Nicaragua, Nauru and Venezuela. This paper, however, does not aim to discuss this issue. The TRNC was established in 1975 after the Turkish army invaded the island as a response to a military coup organized by the Greeks which sought to unite the island with Greece. Northern Cyprus declared its independence in 1983 and, interestingly, the results of an EU referendum held in 2004 revealed that the Turkish side agreed to the idea of unification, whereas the Greek half did not. This referendum was held a few days before Cyprus joined the European Community, and the then-president of the Greek half of Cyprus, Tasos Papadopoulos, called upon the Greek Cypriots to reject Kofi Annan’s plan and promised them that they would become full members of the EU in a couple of days’ time. It is interesting to wonder whether those who use the Cyprus example as a guide consider the possibility of development of such a scenario. At this stage, this might be a groundless speculation, but if one day Georgia will face such a choice, what will Georgian society decide? What if by then the Abkhaz and perhaps the Ossetians as well will be willing to rejoin Georgia? Another point which has to be taken into consideration is the fact that this conflict is far from being resolved, and that many things will also depend on Turkey. The country’s current policy can be described as fluid, and there is a noticeable gap between Ankara’s recent rhetoric and its recent actions. Therefore, the escalation of the situation cannot be completely ruled out, which would be especially damaging for the island in terms of its main source of income, tourism. The most obvious difference when comparing this conflict with the one in Abkhazia is geographical: Cyprus is located in the Mediterranean Sea, and culturally and geographically speaking can thus be perceived as belonging to Europe, more so than the eastern coast of the Black Sea and the Caucasus. This is precisely the reason why the countries of Europe were so interested in rapid stabilization of this conflict, because they regarded ongoing conflicts on the continent as being their own responsibility. Another big difference is the nature of the conflicting sides. In Cyprus’ case, the conflict is between two communities, Greek and Turkish. Both are quite close to their historic motherland, unlike the Abkhaz, who are only represented in Abkhazia. This makes the Abkhaz situation even more complicated because, unlike in the case of Cyprus—where the settlement of Turks in Northern Cyprus was not considered to be a threat, and on the contrary was strengthening the Turkish position—the active arrival of Russians in Abkhazia threatens to turn the Abkhaz into a minority in their own “country”. This is why levels of trust in Turkey were much higher in the case of Cyprus. Alongside its geography, the conflict in Abkhazia—as well as those in South Ossetia, Nagorno Karabakh and Transnistria—is discussed as a form of post-Soviet inheritance, as a kind of slow-motion bomb which the Kremlin successfully continues to use as a source of destabilization. 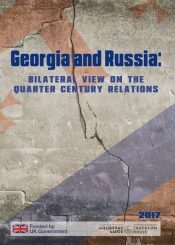 Against the background of this classification, it would be more appropriate to compare the conflict in Abkhazia with other conflicts in the post-Soviet space—all the more so because the resemblance is particularly prominent, and because the dynamics of relations between the various sides match the political contours of the region. The issue of IDPs must also be taken into consideration, especially as the question was not as acute in Cyprus as it was during the conflict in Abkhazia. If, one day, all the IDPs return to Abkhazia, this will radically change its demographic composition, and will make the Georgians the dominant community. The Greeks and Turks have demographic resources at their disposal which the Abkhaz will never enjoy due to their small numbers. The current situation in the Gali region should also be mentioned here. Teaching in Georgian has gradually been limited in Gali and replaced with Russian education programs; this causes problems for both Georgian pupils, the quality of whose education diminishes, and for Georgian teachers, who are required to teach in Russian. In 2001, the European Court of Human Rights ruled that denying local Greeks in Northern Cyprus the possibility of continuing to study in Greek-speaking schools was a serious violation of their rights by the local Turkish community. The same violations in Abkhazia do not, however, give rise to a similar reaction because, unlike in Cyprus, very few means of pressure exist that could be brought to bear upon their authors. 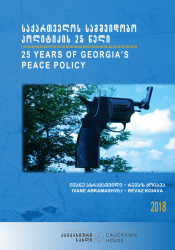 A special report published by Georgia’s Public Defender (Ombudsman) in 2015 analyzes this issue in detail; it states that the current situation in the Gali region directly violates various paragraphs of the European Convention on Human Rights, and discusses several cases of the ECHR. The example of Cyprus clearly demonstrates that resolving territorial conflicts is not a precondition for EU membership, and that if there is a will to do so, nothing can stand on the way of a political decision. It is, however, equally obvious that EU membership is not a guarantee for a conflict resolution. Against the background of Georgia’s European aspirations, it is interesting to see how Cyprus’ EU accession process influenced the prospects of the island’s conflict being resolved. The fact that only the Northern i.e. Turkish half approved of Kofi Annan’s plan demonstrates that Ankara had come to realize that international recognition of the TRNC would ruin Turkey’s prospects of joining the EU, which was a very important lever at that time. Since then, however, some of Turkey’s actions have disappointed these expectations within the country itself, and following some of Erdoğan’s recent ventures the European Parliament’s Foreign Affairs Committee has officially called for Turkey’s EU accession talks to be suspended. Geography, and the fact that Russia does not aspire to join the EU, significantly diminishes the effectiveness as a mechanism of the EU’s political conditionality—even more so as Russia unequivocally underlined by the war of 2008 that it will not allow the territories’ statuses to be changed without its direct engagement. 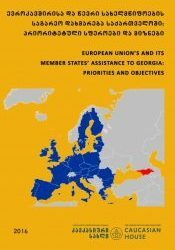 The annexation of Crimea and the ongoing war in the Eastern Ukraine pushed Europe to improve its security; it is currently seeking to actively strengthen its eastern flank, and the idea of a European Defence Union is nowadays enjoying unprecedented support. Given this context, trying to solve frozen conflicts in the Caucasus is an unnecessary headache and a source of potential destabilization, which makes it highly unlikely that Abkhazia will be considered as important as Cyprus in the nearest future. This is why international organizations only offer verbal support, and why the ineffective format of the Geneva International Discussions remains the only forum for discussion. However, given the fact that no other formats exists for dialogue and for expressing their various positions, the parties in Geneva have no choice but to do their best to maintain these discussions. The example of Cyprus provides a good demonstration of how two religiously and ethnically different groups can at some stage put aside their bloody past and conflict and adopt more pragmatic approaches. The willingness of the inhabitants of the northern (Turkish) half of the island to share the benefits of EU membership made them ready to reconsider several issues, and this readiness offers excellent and effective opportunities for the use of tools of political conditionality. The same goes for Abkhazia: given Georgia’s non-recognition policy and the impossibility of foreign travel with Abkhaz passports, some inhabitants could be interested in using Georgian passports to travel visa-free to Europe. 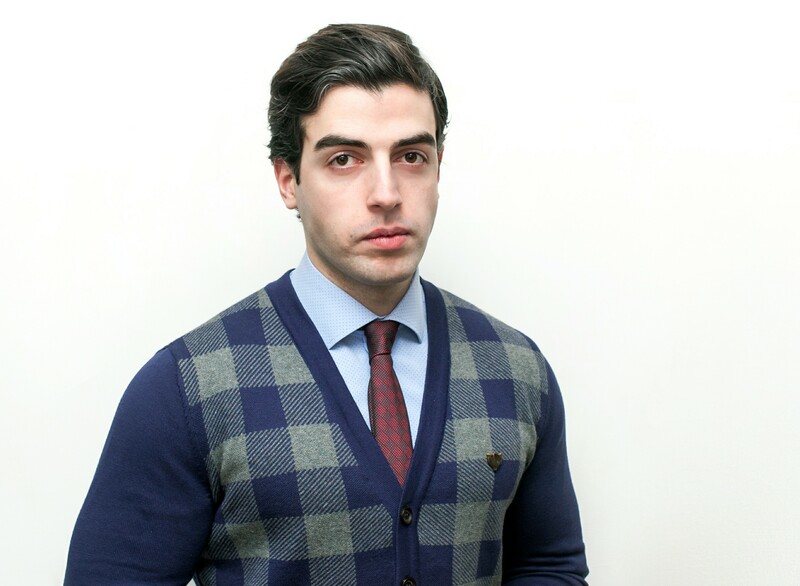 On the other hand, however, it would be wrong to overestimate the effect of this ‘encouragement’, because for numerous reasons many Abkhaz will not acquire Georgian passports. The case of Cyprus bears another important difference. The island was offered EU membership by Brussels, and the degree of attractiveness of Southern Cyprus for Northern Cypriots was naturally much higher than that of the countries of the Eastern Partnership—particularly as the EU only offers them Association Agreements. This is also a powerful stimulus, of course, and every step that Georgia takes towards Europe—especially those which lead to practical and tangible results—automatically create an additional impulse for the revival of relationships. Of late, it is becoming increasingly difficult for Georgians to move to and fro across Abkhazia’s self-declared border; the number of possible crossing points has decreased, and people are forced to walk much further in order to reach territory controlled by the Georgian government. In Cyprus, on the other hand, it became much simpler to move to and from its northern half after it joined the EU; an agreement on the Green Line increased the number of legal crossing points to the North, and the fine for illegal border crossing was reduced. In retrospect, the island’s European aspirations and the progress that it made towards this goal obviously played a positive role in terms of reviving relations (to a certain degree) between Greeks and Turks living in the island’s two halves, and also contributed to simplifying the free movement of people. The goal of this paper was to explain the main differences between the Abkhaz and Cypriot conflicts. Given the current situation, it is undoubtedly a positive move that the government is trying to forecast possible scenarios based upon international practice and to draft appropriate policies. But it is important to note that every conflict has its own specific characteristics and different internal dynamics. As this paper has already sought to explain, the example of Cyprus clearly underlines the importance of a pragmatic approach and its ability to force people to overcome internal conflict and mutual distrust, encouraging them to try to revive relations with the other side. On the other hand, however close Georgia may be to the EU and however excited Abkhaz society may be with the idea of a confederal union with Georgia, all these attempts will come to nothing unless they correspond to the interests of the Kremlin. Currently, with Abkhazia totally dependent upon funding from Moscow, it would be quite a bold move for the Abkhaz to bypass Russia and to begin to redefine their relations with Georgians. Distrust towards Georgia persists, and the Abkhaz blame Georgian lobbying in the West for their continuing international isolation. If this potential risk for the Abkhaz does not come true, their relations with Russia—their main donor, which has been investing heavily in Abkhazia for several years—will worsen, and it is unlikely that Moscow would give up its control over the region that easily. Despite the well-founded doubts outlined above, however, one should never forget that international politics—as an arena in which many different actors interact with each other at different levels and with different levels of intensity—are full of surprises; even the predictions of the most seasoned experts can be wrong, as rapid and radical change can happen at any time (e.g. the collapse of the Soviet Union). Indeed, it would be better if the Georgians would not hope for some miraculous and successful series of events, and instead that they be prepared to make effective use of even the smallest opportunities that present themselves. Even if it does end up creating the preconditions for the Abkhaz people to turn towards Georgia one day (a movement for which very little evidence currently exists), the country’s increasing attractiveness might serve as one of the best avenues for the country’s policy regarding relations with Abkhazia and South Ossetia. 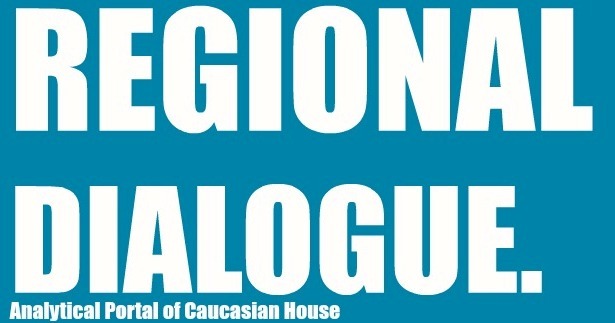 Also, a more pragmatic approach towards Abkhazia and South Ossetia is considered to be the counterweight to actions guided by emotion, and, at this stage, the exaggerated expectations of parts of Georgian society—which believe that Georgia’s rapprochement with the EU will automatically become a precondition for the restoration of the country’s territorial integrity—must themselves be, in part, the result of an excessively emotional approach. 2)Kyris George, Europeanisation and Conflict Resolution: The Case of Cyprus, 7.
დამცველი, 2015 წლის ოქტომბერი) 9. 6)საქართველოს პოლიტიკის ინსტიტუტი, 2016) 6.
ტერიტორიებზე მცხოვრებთა ევროპული არჩევანის და დემოკრატიზაციის პერსპექტივები, 6.
ანალიტიკური პორტალი, 2015), http://regional-dialogue.com/freedom-of-mov/ მოძიებულია: 18.06.2017.